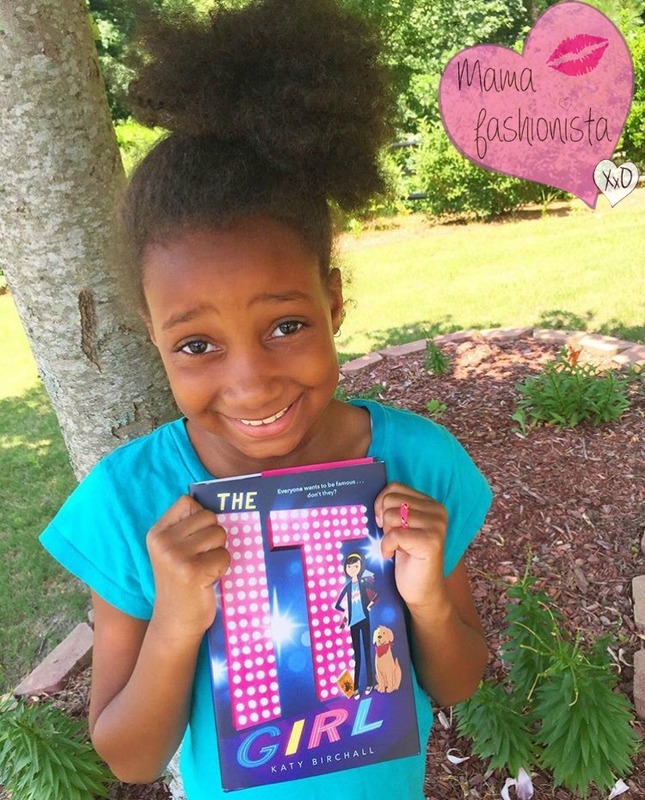 The It Girl (Book #1 of The It Girl) by Katy Birchall (For Ages: 9 - 13) - In this hilarious debut novel, painfully shy Anna is thrust into the spotlight—and onto the cover of every tabloid—when her father marries one of the world’s most famous actresses. Everyone wants to be famous…don’t they? 1. To recreate famous film scenes with Dog (her pet Labrador) such as the lift from The Lion King during that “Circle of Life” song. 2. To not accidentally set Queen Bee Josie Graham’s hair on fire (again). 3. To keep her very first and only two school friends by not acting in her usual manner of socially inept dork and outcast. 4. And to find out whether points 1 and 2 constitute being socially inept or outcastish. 5. To find a closet to hide in with Dog (preferably for life). With the paparazzi moving in and the cool crowd being friendly for the first time ever, Anna must figure out who her real friends are—before her awkwardness is exposed to the whole world. 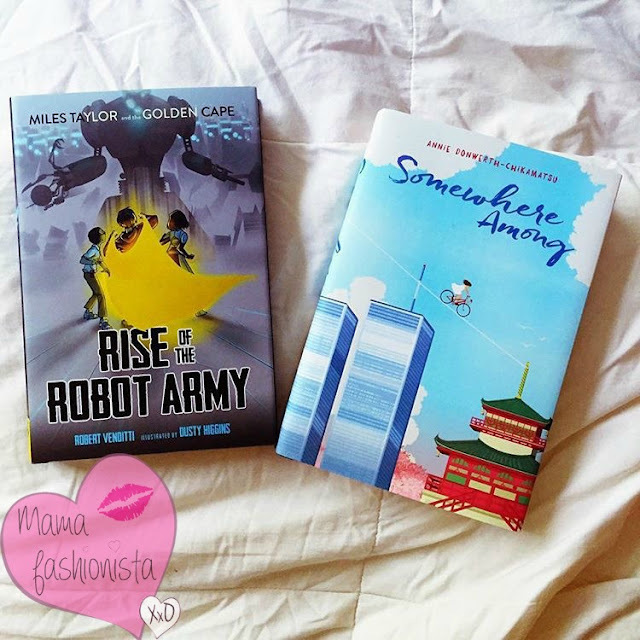 Miles Taylor and The Golden Cape: Rise of the Robot Army (Ages 9-12) - From New York Times bestselling author Rob Venditti comes the second book in the Miles Taylor and the Golden Cape series, about an eighth grader who finds himself unexpectedly thrust into the role of real-life superhero. His latest mission: to defeat an army of robots designed to destroy him! Battle an army of super-deadly robots designed to destroy you. Sure didn’t see that one coming. After a summer of fighting crime, Miles Taylor is bummed that nothing has changed for him at Chapman Middle School. Sure, he may be in the eighth grade now and have a secret identity as Gilded, the world’s only superhero, but that doesn’t protect him from the Jammer’s bullying or make him any more deserving of Josie’s affection. Miles starts spending more and more time as Gilded, neglecting his schoolwork and his friends. It’s not long before his bad attitude lands him and his best friend, Henry, in a military compound, at the mercy of the power-crazed General Breckenridge. When the General steals the golden cape, Miles finds himself back at square one with no superpowers...and no hope of escape. On the verge of losing everything—and everyone—he cares about, Miles must discover the hero within himself before the General puts his evil plans into action. London was so excited about this book, I immediately purchased the first one in the series, Miles Taylor and the Golden Cape: Attack of the Alien Horde. Somewhere Among by Annie Donwerth-Chikamatsu: A beautiful and haunting debut novel in verse about an American-Japanese girl struggling with the loneliness of being caught between two worlds when the tragedy of 9/11 strikes an ocean away. As Ema watches her mother grieve for her country across the ocean—threatening the safety of her pregnancy—and her beloved grandfather falls ill, she feels more helpless and hopeless than ever. And yet, surrounded by tragedy, Ema sees for the first time the tender side of her grandmother, and the reason for the penny-pinching and sternness make sense—her grandmother has been preparing so they could all survive the worst. Dipping and soaring, Somewhere Among is the story of one girl’s search for identity, inner peace, and how she discovers that hope can indeed rise from the ashes of disaster. I plan on reading this one with London - I want to make sure she gets the most out of the poetry and I appreciate the opportunity to open dialogue with her on such a sensitive topic. 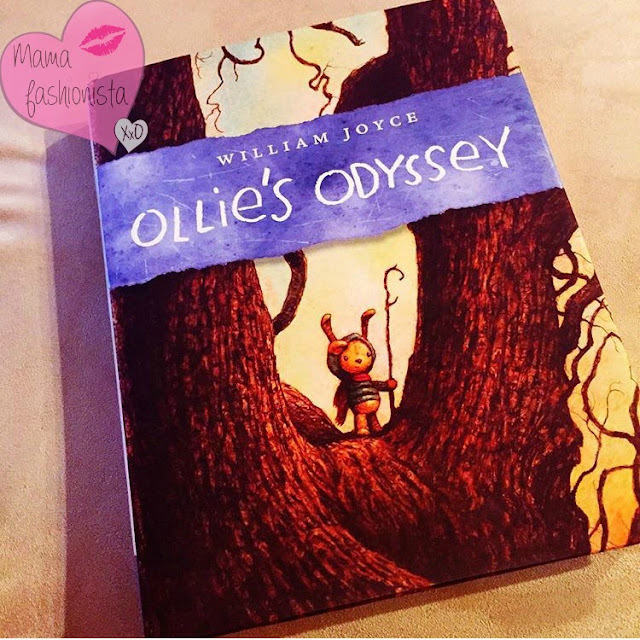 Ollie's Odyssey By William Joyce (Ages 7-11) - Can a beloved but lost stuffed animal save himself and other Losts from becoming the most feared designation of all: The Forgotten? Find out in this epic quest from the author of The Guardians series and The Fantastic Flying Books of Mr. Morris Lessmore. Oliver is a favorite. Of all the toys in Billy’s home, he takes top rank: everywhere Billy goes, so goes Ollie. But being a favorite is more than a privilege—it’s also fraught with danger. Because of Zozo. Zozo has never been a favorite. A clown toy that has been abandoned in an amusement park game, Zozo has grown so bitter that, when the amusement park closes, he seeks revenge on every toy lucky enough to be a favorite. He wants them all to become The Lost, and even better, Forgotten. With nods to Toy Story and Knuffle Bunny, but with that insoucient joie de vivre that is all William Joyce’s own, here’s a look at what REALLY goes on with your stuffed animals when the lights are out. This book is stunning! I've been reading it with Lo and Kenzie at bedtime and we're all really enjoying the experience - and they each seem to be forming deeper attachments to their to toys. 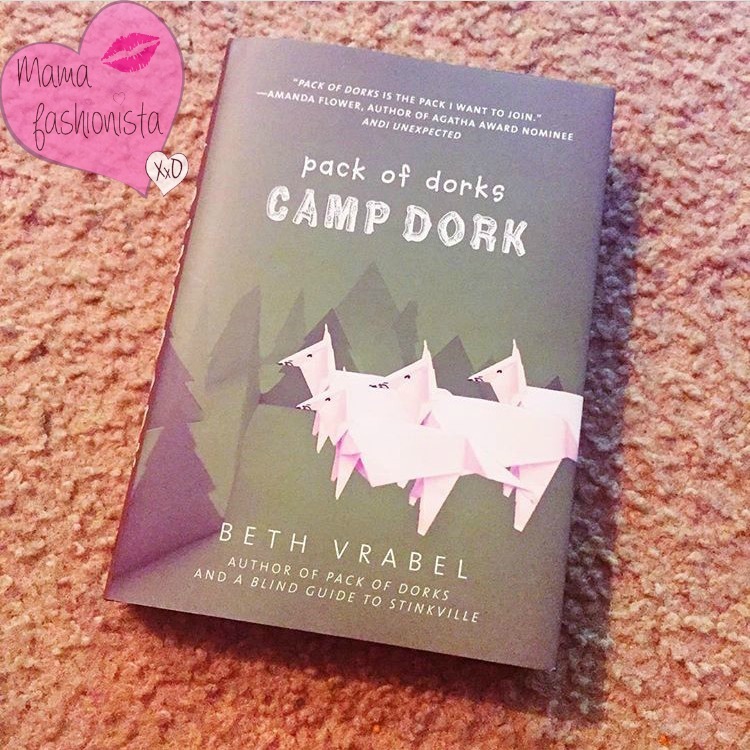 Camp Dork: Pack of Dorks, Book 2 by Beth Vrabel: This book deals with friendship, first love, and solving a mystery against the backdrop of summer camp. Lucy and her pack are back, in this sequel to Beth Vrabel’s heartwarming and humorous debut, Pack of Dorks. Sheldon convinces Lucy, Sam, April, and Amanda to join him at a weeklong sleep-away summer camp—Camp Paleo: Live Like a Caveman. Like cavemen, they’re going to have to make do without air conditioning or a heated pool. They’ll learn archery and dig for fossils. And Grandma’s coming too; she’s taking a job as lunch lady for the camp next door. Just like with Miles Taylor, London is so excited to read this series, she insisted that I buy the first book as well.